We've been crazy busy with Persnickety Clothing orders and trade shows lately, so I didn't even have a chance to update our blog. But I'm back and would like to post a couple of quick updates. Fist of all, it's Monday and our Jules Monday Deals is on! Today we are featuring darling baby outfits and gift sets from Kissy Kissy as well as adorable sailor girl dresses and baby rompers from Kids Ink. 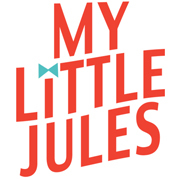 Click here to go directly to Jules Monday Deals page on our website. Second, we have added a few new brands to our store. We now carry Mustard Pie, Misha Lulu and Mini Shatsu. If you are into mixing and matching, you will love Mustard Pie Clothing. Their girl clothes is colorful, playful and very comfy. Misha Lulu is a family-owned boutique brand. 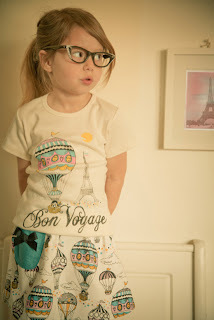 All the garments are hand-made from organic and natural fabrics and their retro-modern infant and toddler clothes are inspired by nature and family. Mini Shatsu is a Hallywood-inspired brand. Their big and loud baby boy clothes instill all-things Hollywood, from rap to rock, beatbox to breaking, hoops to skateboarding, mohawks to tattoos.